Mercury, the fastest moving and the first planet of the solar system, is transiting in Gemini on May 23, 2014. The fast moving nature of Mercury will produce different impacts on your zodiac sign. Wonder, what they could be? Know them, by reading the astrological predictions of Pt. Hanumman Mishra. The transit of Mercury in Gemini is surely going to affect our lives. Mercury is the ruler of Gemini, which means that Mercury is going to its own home. 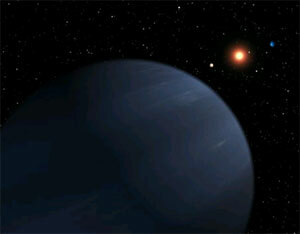 It is a very fast moving planet and the very first planet in our solar system. Because of its fast motion, Mercury changes its effects instantly. For example, if it is giving you peace, may bring adventures too (very soon). This transit of Mercury in Gemini will make people more communicative, sociable, and curious. It will also become an important reason for increasing distractions. Some of the other effects of Mercury in Gemini are: the prices of grains, gold, and silver will rise. We will also see some rise in political issues of the country. Just read out the links given below to know about the effects of this transit of Mercury in Gemini in detail. Mercury is transiting into zodiac sign, Gemini, on May 23, 2014. This transit will have different impacts on all the zodiac signs. Want to know, what effects these could be? Read these astrological predictions by Pt. Hanumman Mishra, to know about them. Mercury is transiting into zodiac sign Gemini on May 23, 2014. As a result, the prices of grains will rise. Also, the prices of gold and silver will increase. Verbal abusing of political parties will decrease. But we will witness political issues, on regional basis, especially in northern and eastern states of the country. During this period, you will get respect and your reputation will increase. Your self confidence will remain strong. Avoid any kind of dispute with younger siblings. Listen to them carefully, because may be they are correct. Your family life will remain satisfactory. Your health will also remain good. You will get good results on the basis of your talent, abilities, and skills. The lord of 5th house will remain in 2nd house. So, family atmosphere will remain in your favor, during this period. This is the correct time for informing your family members about your love relationship. Your pleasing speaking skills will help you in connecting with people. Then also, avoid the attitude of taking risk. You will feel inclined toward spiritualism. This transit of Mercury is highly favorable for you. During this period, your friends and colleagues will remain in your favor. You will progress in your work. This period is also suitable for financial matters. Your love relationships will improve, during this period. There will be coherence and consistency in your personal life. During this period, you will foster new friendly relations. There are strong possibilities of some long journey. Normally, the transit of any planet in 12th house is not considered auspicious; however, as Mercury is in its own sign, so favorable results are possible. Traveling to some foreign country is also possible. Your family life will remain nice. There are possibilities of some auspicious event at home. Profit and expansion in business is also possible. During this period, Mercury, being the lord of 2nd house and 11th house, is placed in 11th house. So, you will get immense profit due to your intelligence. Some travelings are also possible, during this period. These journeys will remain profitable. You will come in contact with famous people. Your reputation, fame, and respect will increase. You will perform well in your business. Possibilities of profit will improve. During this period, Mercury, being the lord of 1st house and 10th house, is placed in 10th house. So, businessmen may get immense profit. But, because of the effects of some other planets, you may turn aggressive. It is important to control your words. Avoid your attitude of earning quick money. Take care of your health and family. Avoid unnecessary traveling. Being the lord of 9th house, Mercury is placed in 9th house. As a result, the chances of improvement in luck will produce. This period is also appropriate for the matters related to foreign countries. Your business will rise, during this period. Your fame and respect will increase. There are chances of some pleasing journey. You will do a profitable deal. Your colleagues and partners will support you. The lord of 11th house, Mercury will remain posited in 8th house. This indicates difficulties in gaining profit. But, because Mercury is also the lord of eighth house, so you will gain profit even after all the difficulties. Although, you may also remain engaged in some worthless tasks. Expenses may increase. Some tensions in your family life are also possible. Your opponents may try to disturb you. So, control your words. Lord or 10th house, Mercury is placed in 7th house, because of which many auspicious results will be obtained. During this period, you will enjoy pleasing family atmosphere. You will get progress in your daily chores and will also gain profit due to them. Some memorable journey is also possible. You will get success in new ventures. This time is also good for love relationships. Your friends and well wishers will remain in your full support. Comparatively your behavior will remain sweet. During this period, Mercury is placed in 6th house in its own sign. 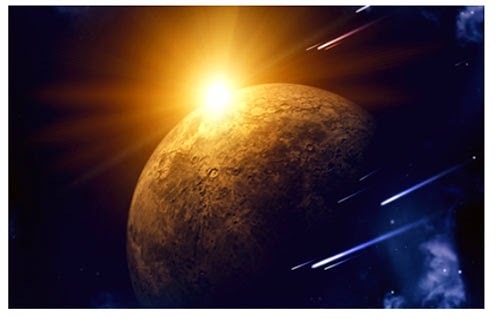 So, Mercury transit will produce auspicious results for you in most of the matters. Your family atmosphere will remain nice, during this period. There are possibilities of some auspicious event at home. Your business abilities will improve. You will remain happy and contented. You will spend on some luxurious item. You may have to work hard, a bit. Your efforts will produce desired results, during this period. You will get success in your work and small journeys will produce favorable results. Try to maintain good relations with younger siblings. Some auspicious event is possible at home. Education and children related problems will resolve. You will meet new people and old friends. You will get good results in your job. This time is also good for financial matters. This time is good to enjoy your family life. The behavior of your family members will remain nice, but avoid any dispute with your life partner. People will get impressed by your words. This will remain a good time for your finances. The collection of some due amount is possible. Your interest will increase in abstract sciences. But, take special care while driving. Mercury is transiting into zodiac sign, Taurus, on May 4, 2014. This transit will have different impacts on all the zodiac signs. What effects these could be? Read these astrological predictions by Pt. Hanumman Mishra, to know about them. On May 4, 2014, planet Mercury is transiting into zodiac sign Taurus at 10:04 p.m. As a result, the prices of grains will remain moderate, but the prices of gold may rise. The verbal war of political parties can increase. There are also chances of disputes between rulers and administrators. Strong winning chances for many women candidates are also foreseen. The lord of sixth house will remain in second house. During this period, less favorable family atmosphere is possible. Lack of self confidence and some tensions are also possible. However, your pleasing speaking skills will help you in connecting with people. Expenses may increase, so avoid the attitude of taking risks. You will feel inclined toward spiritualism. Your friends and colleagues will help you, during this period. You will see progress in your work or business. This time is also considered appropriate for your financial matters, because the lord of wealth is placed in your first house. As Mercury is also the lord of fifth house; therefore, your love relations will improve. Friendly relations will foster, during this period. There is a strong possibility of some distant tour. Mercury, being the lord of your sign, is transiting in to the twelfth house, which is not considered favorable. But, because Mercury is posited in its friendly sign, Venus, so your relations with superior or powerful people will improve. The family atmosphere will remain satisfactory. There are possibilities of some auspicious event at home. There are also possibilities of expansion and profit in business. During this period, your self confidence will remain strong. You will get ample profit because of your intelligence. Some distant traveling is also possible. You will get benefited by this tour. You will come in contact with famous peoples. Your status, reputation, and respect will rise. You will perform great in business. The possibilities for profit will improve. During this period, Mercury, being the lord of 2nd house and 11th house, is placed 10th house. As a result, servicemen may get immense profits. 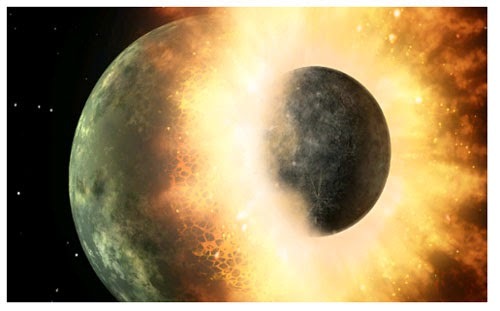 But, due to effects of other planets, some disputes over small issues are also possible. So, try to avoid these issues. Avoid the attitude of earning quick money. Take care of your health and family. Avoid unnecessary traveling. Mercury, being the lord of your sign and 10th house, is placed in your 9th house, so your luck will improve. Profit is possible through your life partner or business partner. Your business will rise, during this period. You will also get success in some competition. Fame and respect will increase. There is possibility of some pleasing tour. You will do a profitable deal. Partners and colleagues will support you. Mercury, being the lord of 12th house and lord of 9th house, will remain in eighth house. This condition is not considered favorable. Therefore, there are strong possibilities that you will remain engaged in worthless activities. This time is also not appropriate for financial matters, as expenses may increase. Some tensions in family life are possible. Your opponents may try to disturb you. Try to control your words and avoid traveling as far as possible. Mercury, being the lord of 11th house, Mercury is placed in the 7th house, which will give good results. But, Mercury is also the lord of 8th house, so some obstructions are also possible. During this period, your domestic life will remain happy and prosperous. There are possibilities of some memorable tour. You will get success in new ventures. This time is also good for love and romance. Friends and well wishers will also prove supportive. During this period, Mercury is placed in 6th house, which is its friendly sign. So, the transit of Mercury will produce auspicious results in most of the matters. During this period, your family atmosphere will remain joyful. There are possibility of some auspicious event at home. Your business abilities will improve. You will remain happy and prosperous. You will spend on some luxurious item. You may have to work hard, a bit. Your efforts will produce favorable results, during this period. You will get success in your works and small journeys will also produce favorable results. Your siblings will support you. Along with this, you will also get support of your mentors and old people of the family. There are possibilities of some spiritual journey with your dear ones. Education and children related problems will resolve.You will meet new people and old friends. You will get good results in your job. This time is suitable to enjoy your family life. Some of your relative or dear one may come to your place for some days. Your family members will show very good behavior toward you. People will be impressed by your words. This will remain a good time for your finances. The collection of some due amount is possible. Your interest will increase in abstract sciences. But, take special care while driving. During this period, you will get respect and your reputation will improve. Your self confidence will remain strong. Although, your domestic life will remain satisfactory, but because the lord of 4th house is placed in 3rd house, you should maintain a balance in your family atmosphere. Your health will remain good. You will get good results with the help of your talent, abilities, and skills. Today is the Jayanti of one of Vishnu’s main incarnation (Avatar) - Shri Vallabh Acharya Jayanti. Mercury will retrograde in Aquarius on February 7, 2014. Till February 28, 2014, it will reside in the same sign. This retrogression will bring favorable results for some signs, and non-favorable for others. To know what these effects are, read this article. Mercury will be getting retrograde in Aquarius on February 7, 2014. Till February 28, 2014; it will last in the same sign. Being a humane planet, Mercury takes the attributes of planets conjoined with it. This time Mercury will be joining Sun from February 13, 2014. Aries: At this time, luck may not favor you much and legal matters might get delayed. It is suggested to be careful, as conflicts with friends and younger siblings are possible. Keep control on your expenses or they might rise up. You may feel annoyed from your servants. Take care of your communication gadgets, as they may not work properly. Taurus: During this time, be careful and refrain from making speculations and trusting anyone blindly. We suggest you to invest carefully. Windows of your house may need renovation. Your children may feel physically weak, which may affect their academic performance. It is suggested to carefully analyze the electrical wiring of your house and office. Love life may see some ups and downs. Gemini: You may find difficulty in making decisions. During this time, your popularity will increase. You will do good deeds and will get good results in return. We suggest you to take care of your mother’s health. Due to your own laziness, your work may get delayed. Cancer: There will be an expenditure on trivial things. You may overcome from your debts, with time. It would be good if you stay self-dependent, as friends may not support you. You may feel distracted and therefore, you may not pay attention in family activities. Be careful, as conflict with spouse is possible. Leo: During this time, you may get short tempered. You may spend on your spouse. There may be some delay in getting finances. Friends may not support you and differences may pop up. Your partner may become demanding. You may enjoy pleasure of union. Virgo: At this time, take good care of your health. Children of this sign may face some problems. You may face some troubles in your personal life. Secret desires may inculcate within you. Authorities may not support you. Libra: This time is challenging for those who are into entertainment media industry. You may face some troubles in your personal life. At this time, luck may not prove much favorable for you. You may find duality in choosing your future steps. Scorpio: During this time, you will witness progress at work front. You may plan about selling your current home and buying a new one. It is suggested to take care of your thighs and ankle, during this period. You may get money from scrupulous sources. Sagittarius: You may go on some short trips with your family; though, these trips may not yield fruitful results. You may go to a holy place. Problems in personal life are foreseen, at this time. Workfront may give you some challenges; however, things will get resolved soon. Capricorn: During this time, you may gain through debts. It is suggested to take care of your father’s health. Luck may not favor you, as per expectations. Your maternal uncle may visit you. You may face some issues with your subordinates. Aquarius: This time demands wise thinking. You may face troubles in concentrating. You may feel annoyed and restless, during this time. Pisces: You may go for a leisure trip. This transit won't be having much effects on you, be it favorable or unfavorable. There will be travels due to work. You may face There may be some problems in getting things in order. You may also face problems while communicating with others. Mercury will transit in Capricorn on 18th of February. Before this transit, Mercury transited into Aquarius, but being retrograde, it is again transiting back into Capricorn. Let’s read out more about the effects of this transit on all the Zodiac signs. Mercury will transit in Capricorn on 18th of February. From January 8 to 26, 2014, Mercury was in Capricorn only, but on January 26, it transited into Aquarius. Now, being retrograde, it is again transiting back into Capricorn. As a result of this transit, prices of grains will be affordable. The rate of problems related to kids will come down. Politicians will not only give speeches, but will also implement some useful policies. You will celebrate some auspicious event at home. In this duration, your business may expand. You will be completely dedicated toward your responsibilities. Family environment will be harmonic. You may also get a vehicle. This transit will be fortunate for you. You will perform all the tasks in a proper manner. Your influential way of speaking will help you in convincing people. You will perform extremely in your business and will reap immense profits. You will also get benefits from a journey. You will have to work harder, as workload will increase. Be careful, as minor issues may lead to disputes. You may feel a bit stressed due in your domestic life. Avoid unnecessary travelling. During this transit, you may witness expansion in your business. Your partners and admirers will support you. You may get beneficial opportunities and deals. Females will prove to be helpful on work front. You are likely to go for an enjoyable trip. In this duration, health issues may trouble you. Your competitors may try to harm your reputation. Situations at work place will improve. It is suggested to have control on your speech; also, avoid being harsh. Avoid travelling as much as possible. During this time period, you will receive benefits in new ventures. Also, the time is good for love and romance. Your domestic front will be highly prosperous. Due to your intellectual abilities, you will get immense respect. Friends will support you. In this duration, your business skills will get enhanced. You will perform all your tasks in a planned way. There will be harmony at home. You will enjoy good tuning with your parents. You may also spend on luxury and comfort. You will get support from your siblings. You may also meet your old friends. Your artistic abilities will improve. Short journeys are likely to give you positive results. If you are involved in some agency work, you will get beneficial outcomes. In this duration, you will earn name and fame. Behavior of your family members will remain highly good. During this transit, you will get financial gains. You may get inclined toward occult science. In this duration, you will be happy. You will also get name and fame all around. You will also have sound health. You will experience harmony on the domestic front. To fulfill your wishes, you will work very hard. You may feel stressed because of some health issues. You need to be firm and hopeful while handling problems and tensions. Family environment may not be much good. You will feel inclined toward spirituality. In this duration, you will get support from friends and well-wishers. Also, you will also get good news related to your brother or best friend. You will socialize with people and make more friends. All your dreams and desires will come true. Hope these predictions will help you carve a beautiful time ahead. The day is quite significant, as it is the Martyr’s Day of Mahatma Gandhi. On 12th of March, 2014; Mercury is Transiting into Aquarius. Predictions say that the transit is favorable for students and may hit the prices of gold and silver. To know how will it affect you, read the article by astrologer ‘Pt. Hanumman Mishra’. Aries: In this duration, friends and colleagues will help you. You wishes and desires will get fulfilled. You will get good news about your brother or best friend. During this time, you will make many friends. Taurus: During this period of time, you will show hard work & dedication in every aspect. Your business might also expand. You will enjoy some auspicious event at home. Environment in family will be quite harmonious. Gain of vehicle is also possible in this time. Gemini: Due to your intelligence, you will get immense profits. You will perform better in your business. During this time, you will get good results from any journey. Due to your influential way of speaking, you will be able to convince others. Cancer: This period of time may ask for hard work. Your workload will increase and you may feel frustrated. This time demands hard work from you. Due to work overload, you may feel frustrated to some extent. It is suggested not to make mess over small issues. Avoid unnecessary journeys. Take care of your family. Leo: During this time, your business will expand and will do wonders. You will get support from females in your work area. Fruitful journey is also possible. You will make profitable deals and your partners and colleagues will support you. Virgo: Due to transit of Mercury, things at your job front will improve. However, health issues are possible. We suggest you to keep a check on words while you speak. Avoid going on journeys. Libra: During this time period, you will get immense respect due to your intellectual abilities. You will get success in new business. This time is also good for love and romance. Harmony will prevail on domestic front. Friends will support you. Scorpio: You will work in an organized manner. Your business skills will develop. Relation with parents will improve. Prosperity will be witnesses on domestic front. You will spend on luxury goods. Sagittarius: In this period of time, you will get support from siblings. Short distant journeys will prove fruitful. You will meet some old friends. Your artistic abilities will also improve. You will get favorable results, if working in association with publication or agency. Capricorn: Your way of speaking will be quite influential; therefore, you will remain popular in this period. This time is also good on financial front. Behavior of family members will also be good. Your interest in occult science will increase. Aquarius: During this time period, your name and fame will increase. You will feel happy and contented. Domestic life will be satisfactory. You will work hard to achieve your wishes and desires. Health will also remain good. Pisces: In this time, some health issues are possible. Prepare yourself to face troubles and tensions. To deal with issues of domestic life, patience is needed. It is possible for you to get inclined toward spirituality. Transit of Mercury in Libra will take place on 25th September and will last till 1st December. Mercury will shift from Virgo to Libra joining Saturn, Venus and Rahu. This article will tell you all about the effects of this transit. Mercury is a planet with characteristics of intelligence, sincerity, flexibility and alteration. Depending on one's birth chart the effect of Mercury can be favorable as well as unfavorable. This planet lacks oxygen and atmosphere and has immense heat. Mercury is the most fastest moving planet and is also the innermost one. As far as astronomical and astrological facts are concerned, this planet is of utmost importance. This transit of Mercury in Libra is good for the women but can cause some health concerns in kids. Mercury in Libra reflects friendly and diplomatic nature. During this time one can work to improve his negotiation skills so as to make his points clear without creating any negative behavior. This period is good to understand other’s point of view before coming to any conclusion. 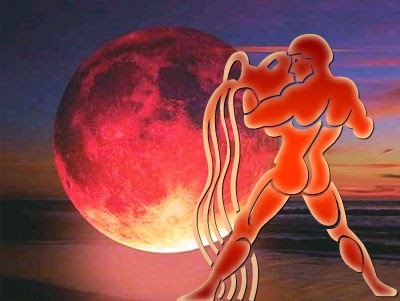 Aries: You will enjoy pleasure in every sphere be it professional or personal. You can also enjoy any journey or trip. Taurus: Not a favorable time for you. Other than smooth family life rest all may get against you. Gemini: Time for success, friends, romance and respect. Nothing to worry about. Cancer: All is well for the Cancerians. Your cards indicate spending on luxuries and comforts. Leo: Encouragement and support from siblings is what you will get. You can also enjoy great time with old friends. You may turn artistic too. Virgo: Harmony in family life and financial gain is your reward from this transit. Libra: You will enjoy every moment and will get honor too. You will remain active physically. Scorpio: You will turn spiritual and may face some health complications. Sagittarius: Your ambitions will turn true and you will make new friends. Some good news from your brother or any close friend is also possible. Capricorn: Probably the best phase of your life will come with growth in business, purchase of vehicle and any auspicious ceremony at home. Aquarius: Your intelligence and excellent communication skill will pay you right. Possibility of a beneficial journey is also there. Pisces: Luck and time are not on your side in any aspect. You may not get any benefit from this transit. 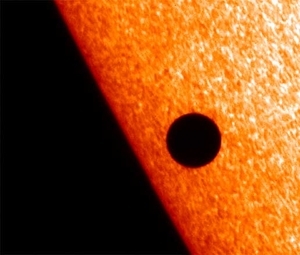 This transit of Mercury might affect some and might benefit some. Which category we belong to? Well.. we have to wait and watch.